Image: Tom Vilsack, the former Biotechnology Governor of the Year in Iowa and U.S. Secretary of Agriculture. Photo via ilbioeconomista.com. As President Barack Obama campaigned in 2008 prior to his election, he dazzled clean food activists by promising to label foods containing genetically modified organisms (GMOs), in accordance with the overwhelming majority of Americans (over 90% in most polls) who have been calling for it for years. It wasn’t just what he said, it was how he said it: with a firm, hopeful and determined tone that conveyed the strong sense of frustration felt by millions of supporters, and made them want to believe. Now, as Obama’s final term winds down, those same clean food advocates have not only been alienated by the administration, they’ve also been left to wrestle with the many pro-Monsanto and pro-Biotech forces that have taken over Washington, D.C. 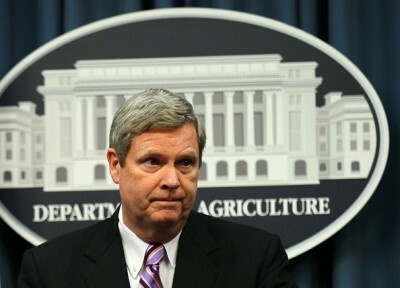 Among them is Tom Vilsack, the former Iowa governor and ‘Biotech Governor of the Year’ who was appointed as Secretary of Agriculture, one of a long list of disappointing moves made by Obama not too long after he was elected. In over 60 countries across the world, GMOs are subject to mandatory labeling, and a huge portion of Europe actually just banned their cultivation in 2015. But American activists have had to fight tooth-and-nail against political and corporate interests at every turn just for the right to a simple label. And now, with the country’s first GMO labeling law finally set to take effect in Summer 2016 in Vermont, Vilsack and friends are threatening to undo years of hard work through secret meetings and backdoor maneuvering. 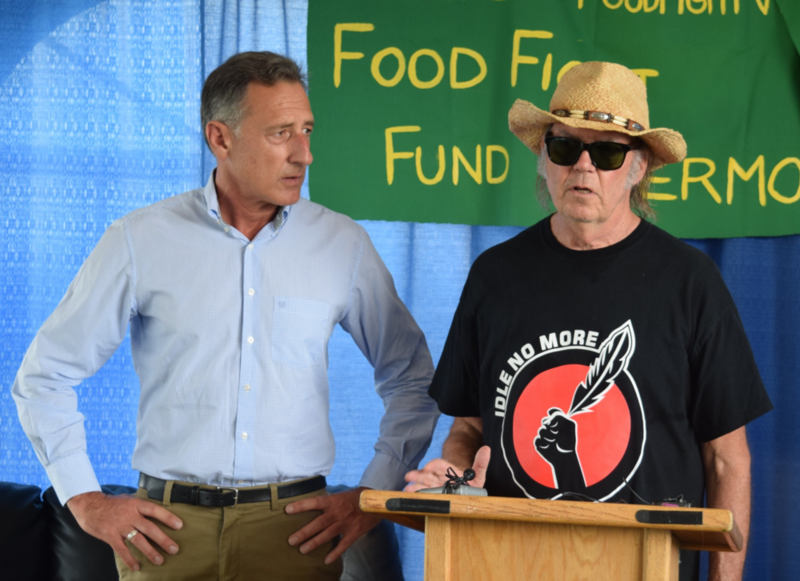 The humble state of Vermont is rarely ever in the spotlight (unless we’re talking about maple syrup I suppose), but all eyes in the clean food movement are focused on the The Green Mountain State as July 1, 2016 looms. That’s when the state’s democratically passed, mandatory GMO labeling bill is set to take effect. But now Vilsack, one of the many pro-GMO forces on the inside, is threatening to overturn it by holding an invitation-only meeting with the goal of “fixing” Vermont’s law before it goes into effect. “I’m going to challenge them to get this thing fixed. I would like to avoid making food more expensive,” Vilsack said to the Des Moines Register from his office overlooking the National Mall. Vilsack added that there is “urgency to reach a compromise” between both pro-GMO corporate interests and organic/non-GMO food advocates. But organizations like the Organic Consumers Association still haven’t been told when this “secret meeting” will be held, and haven’t received their invitation yet, either. With the pro-Monsanto Vilsack calling the shots and sending out the invitations, it’s safe to say that the rights of Vermont citizens, who worked hard to enact the labeling bill, might not be fairly represented. Time and time again, a familiar script has played itself out in regards to GMO labeling in America: citizens voice their approval of mandatory labeling, polls back them up, and then Monsanto and its small army of lobbying and PR front groups start pulling out the checkbooks. Aside from their shocking lawsuit against the state of Vermont for “freedom of speech violations” (over a simple label that would say which ingredients are genetically engineered), the groups have spent an exorbitant amount of cash trying to prevent us from exercising our democratic rights. Monsanto has spent over $24.2 million (at least) to prevent mandatory GMO labeling at the state level, and the GMA has spent over $13.2 million, including being involved in the biggest money laundering scandal in Washington state history. All while arguing that the labeling bills will be “too costly” for consumers despite independent evidence to the contrary. Should the GMO labeling movement, which has fought so long and so hard to require food manufacturers to disclose this basic information about their products, settle for anything less than a mandatory labeling law like Vermont’s? We don’t think so. Vermont’s GMO labeling law must be allowed to take effect July 1, 2016, as scheduled. Then we can talk about next steps, at the federal level. With time ticking on the law taking effect, which could change everything and embolden initiatives in other states, Monsanto and their allies in Washington are getting desperate. Recent attempts to pass a bill designed to stop states from passing similar labeling laws has essentially failed, and a last-ditch attempt to include a state labeling ban in a $1.1 trillion, 2,000-plus page omnibus bill also failed. Now Vilsack is planning to subvert the will of Vermont citizens by stopping their democratically passed labeling bill in its tracks. Just who exactly are these “folks who are interested in the labeling issue,” anyway? As of right now, nobody knows (except Vilsack, perhaps). But we do know that the people of Vermont have spoken, and like most Americans they want mandatory labeling, the same right afforded to citizens of the vast majority of modern nations across the world. It should be the minimum, really, in a country where GMOs were foisted upon the American people without their consent or knowledge in the first place. That’s how democracy is supposed to work. You can send a message to Secretary Vilsack through the OCA website by clicking on this link.